We have been nominated once again for Coastal Styles Best Of for 2018! We have received the title two years in a row and would like to add to it! We now qualify for three categories in the Worcester area. 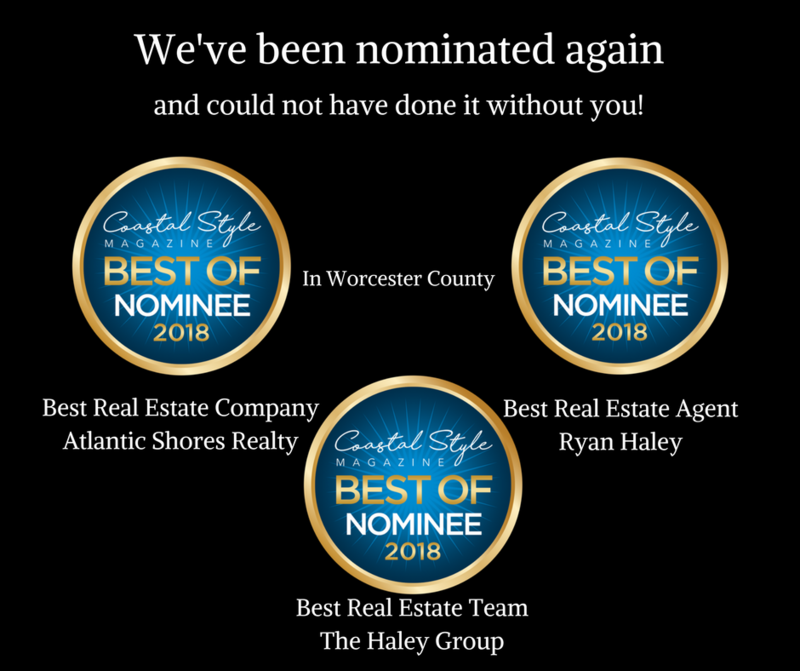 Atlantic Shores Realty for Best Real Estate Company, The Haley Group for Best Real Estate Team and Ryan Haley as Best Real Estate Agent! Please give us your vote of confidence and vote for us in all three categories! A minimum for 15 categories must be filled out for the ballot to qualify. Need suggestions? Here are a few of our favorite businesses in the Worcester area! Thank you, continue to spread the word!